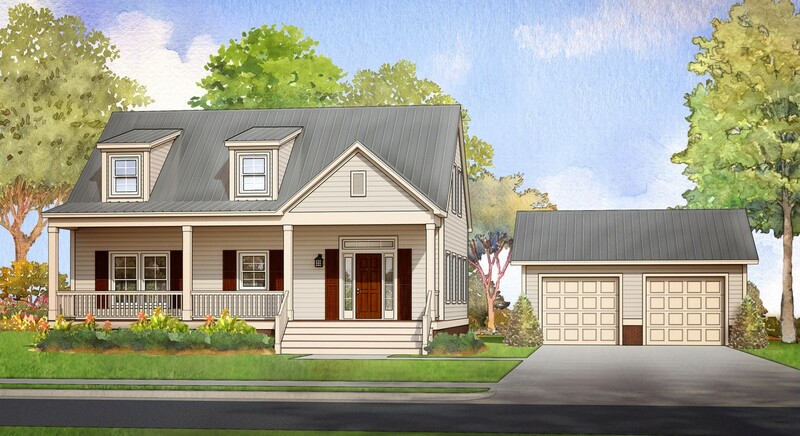 The Summerville is the type of house that once completed will look like it’s been in the neighborhood for years. 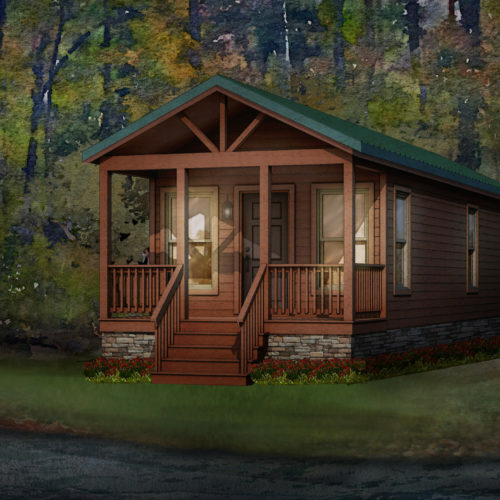 It has traditional styling and comes with the second level finished which is unusual for a modular Cape plan. The large front room opens to the dining and large kitchen area with plenty of entertaining room at the bar. 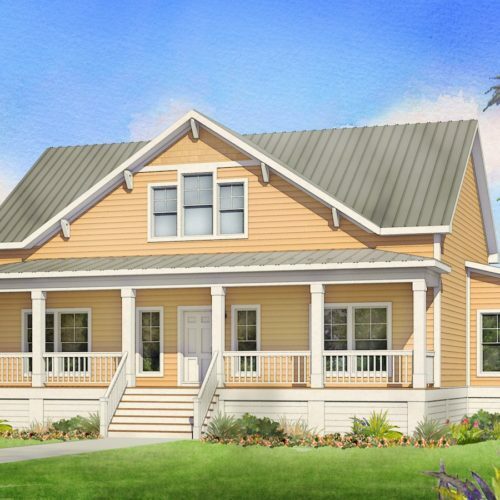 The plan includes a master bedroom and private bath as well as a ½ guest bath down stairs. Upstairs there is room to grow with 2 bedrooms and a full bath. 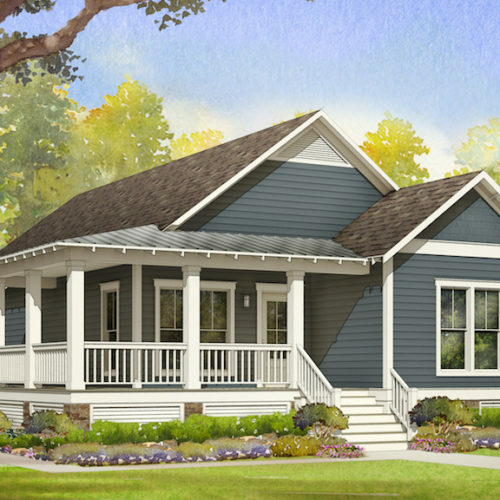 The site built garage and porch finish off this quaint plan. Due to continuous product improvement prices and specifications are subject to change without notice. The square footage and other dimensions are approximate. 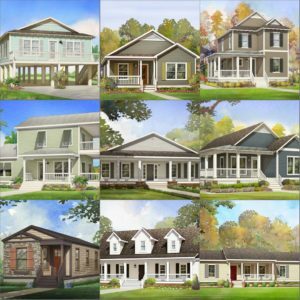 Renderings are not intended to be an accurate representation of the home and are often shown with optional features and/or third-party additions that can be added at additional cost if available in your region or situation. OUR BUILDING SERVICE AREAS INCLUDE NORTH CAROLINA, SOUTH CAROLINA, TENNESSEE, GEORGIA, ALABAMA, MISSISSIPPI, LOUISIANA, AND FLORIDA. 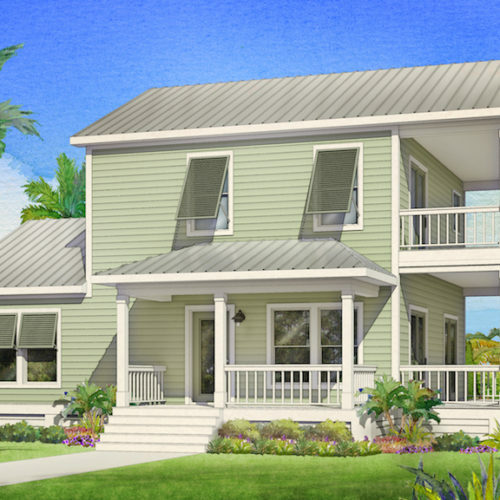 © 2019 Affinity Building Systems, LLC. All Rights Reserved.